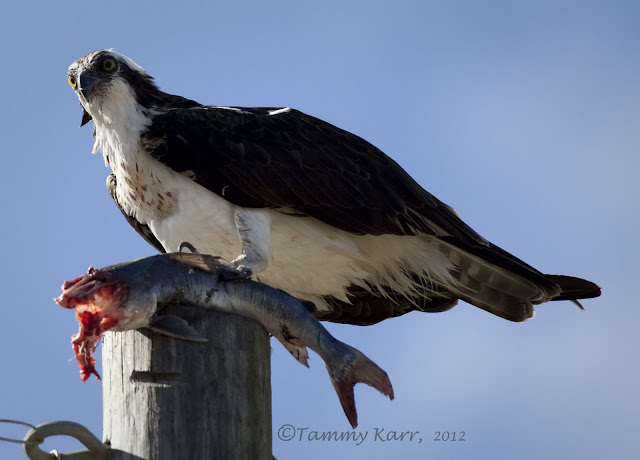 i heart florida birds: How do you like your Fish? 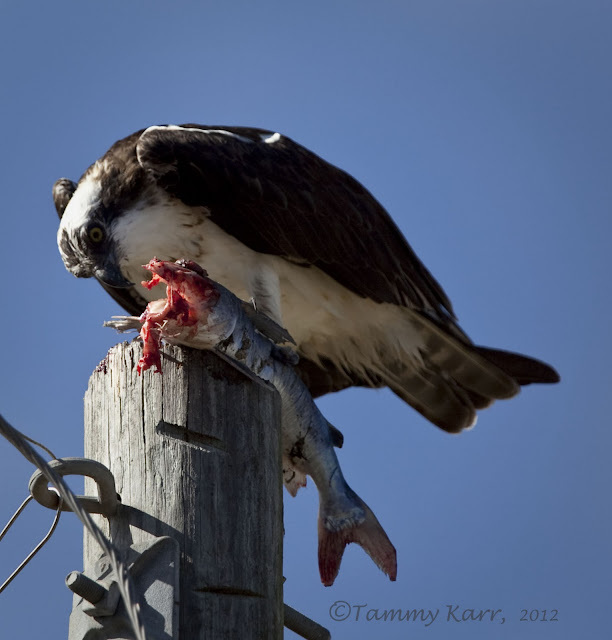 Still moving for this Osprey. Maybe it was just my eyes, but this fish appeared to still be moving, even with its head gone. Another great set Tammy. They look almost tame out there! Thanks Marc! They perch all along the river where there are alot of people out & about, so I think they get used to seeing people. That's a hefty fish! I guess the Osprey decided it needed a facelift. He did a good job with the facelift, haha! 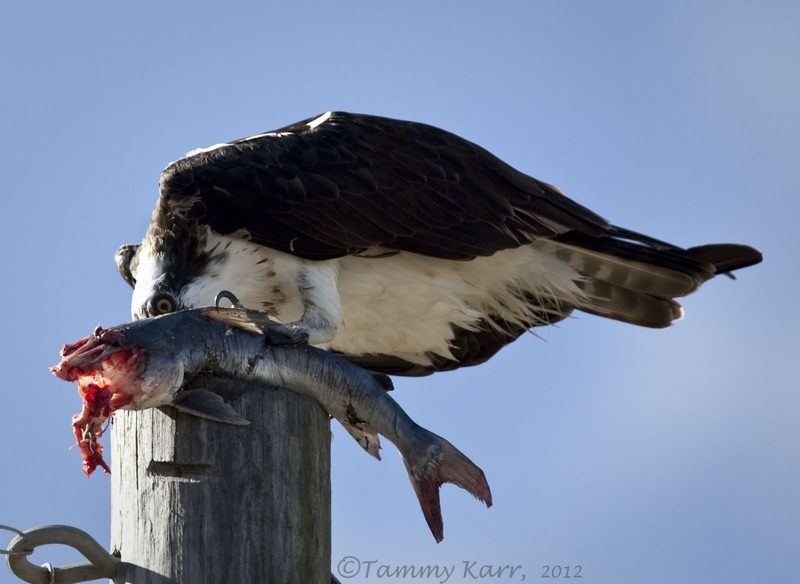 Gorgeous shots, Tammy! 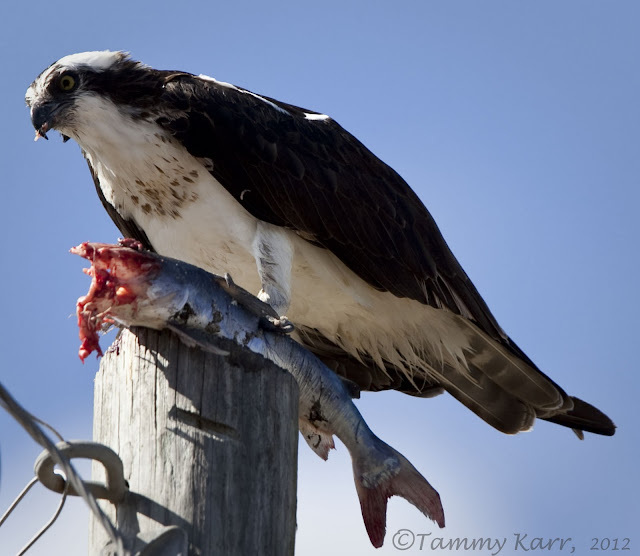 I'm jealous of your Ospreys! Thanks so much for the kind words, Alan! WOW!!! vaya momento has captado! Muy buenas fotos. Estupendo momento el captado, justo en la hora del almuerzo. Buenas tomas y con una nitidez asombrosa. Hi Tammy! Found my way here by way of Nature's Splendor. Thank you for visiting Daniel! How did you get so near, terrific photos. This Osprey was perched on a pole that was quite a bit lower than most. 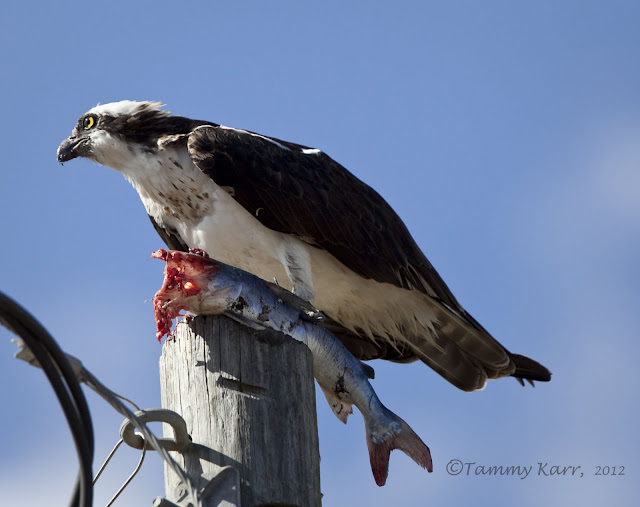 I stood by a large tree near the pole and I think the Osprey was really enjoying his fish! Thank you for visiting Shaun and I will definitely visit your blog! Tammy....Only just found you on Birds2blog for which I thank you for looking in and commenting. I can find no contact for you and wondered if you would e-mail me regarding your photographs. You have a great blog Pete! Fantastically gruesome shots Tammy. What a stunning bird and you've captured wonderful behaviour.